Recipes include Tinolang Manok, Sisig, Pork Giniling, Filipino Barbecue, Paksiw na Pata, Paksiw na Tilapia, Nilaga, Ginisa, and Gulay Stirfry. Enjoy the Filipino cuisine and style of cooking! Cooking the perfect sunny side up - "itlog"
There are lots of ways of cooking egg like frying, boiling, poaching, steaming or baking. The popular way of frying egg is Sunny-side up which is frying the eggs on one side only, the top part containing the yolk intact and slightly liquid. Egg yolk could be "over hard" which means it has solidified: "over medium" where the yolk is fairly thick but still liquid; or "over easy" where the yolk is liquid or "runny". Scrambled egg is beating the egg in a bowl before cooking, some are keep stirring the eggs in a pan as the egg cooks or making egg omelet by adding vegetables. Boiled eggs could be hard-boiled where egg white and egg yolk are solid cooked and soft-boiled egg where the yolk and even egg white are soft and runny. remove from heat as the yolk is getting thick and slightly liquid. This depends on how you like the egg yolk be cooked. Egg cooked as sunny side up can be combined with other fried meat, fish, sausage, bacon, etc., and serve them with fried rice. 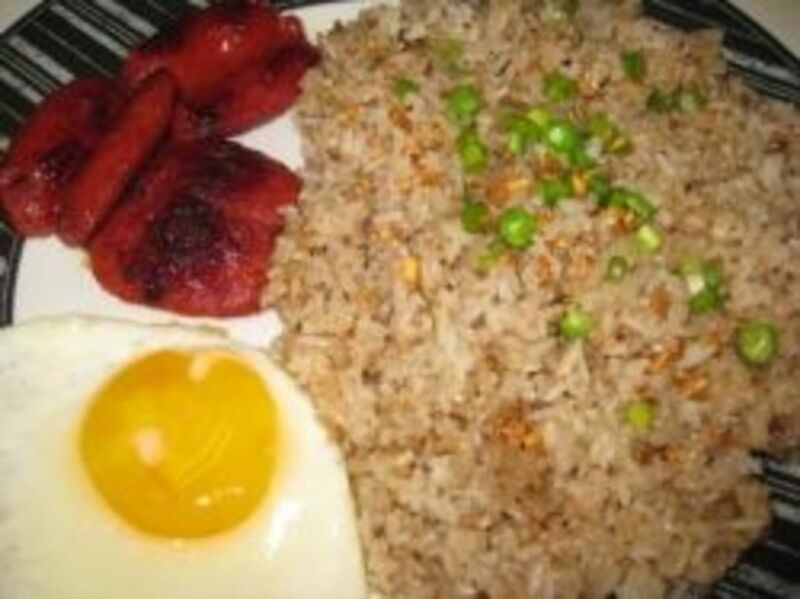 This combination is commonly eaten during breakfast and are called "SILOGS" because of the "SI-nangag" meaning fried rice and "itLOG" meaning egg. 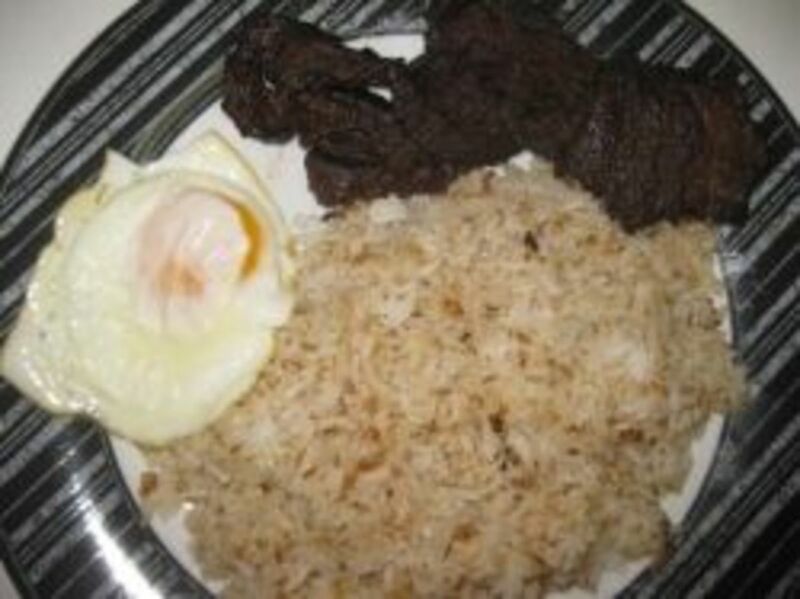 One popular meal combo is TAPSILOG (tapa, sinangag, itlog) which are (fried beef cuts, fried rice, fried egg sunny side up). Another is BANGSILOG (bangus, sinangag, itlog) which are (fried dried milkfish, fried rice, fried egg sunny side up). There are lots more combination meals such as porksilog, tocilog, longsilog, tuysilog, and the list goes on. 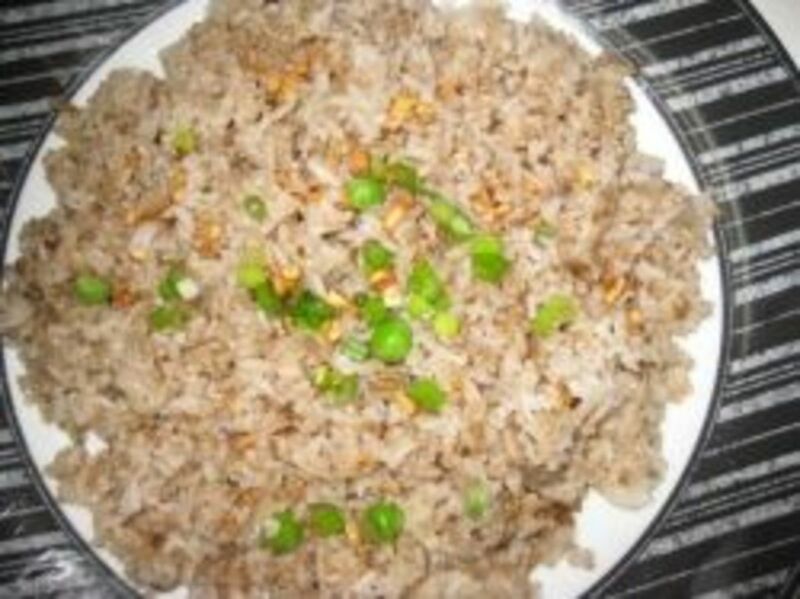 Plain fried rice with garlic is a Filipino breakfast food which is usually combined with grilled or boiled eggplant and bagoong, tocino, longanisa, adobong manok, beef tapa, fried marinated bangus (pritong daing na bangus) or salted fish (tuyo) and hot coffee. The left over steamed rice kept in the fridge for hours or overnight is best use for frying. Others fry the rice with more garlic and mix with other left-over food from the fridge like cooked seafoods or meat (bacon, ham, sausages, egg, shrimps, etc.) and sliced or shredded into pieces. No need to look for a main menu because cooked meat or seafood is already mixed in fried rice, "two in one" as they say. And garnish with cooked green peas or scallions/onion leaves. In a frying pan or wok, heat oil and sautee garlic until golden brown then set aside on the pan. Next is to crack eggs in frying pan and scramble it then pour cooked rice and stir all together. Add in any left-over cooked meat available from your fridge and sliced into small pieces. Pour now the soy sauce to add color of the rice and season with salt and pepper. Stir fry by mixing all ingredients and seasoning with the rice for 10 to 12 minutes then sprinkle the green peas. Remove from heat and put in a serving dish then garnish with onion leaves. 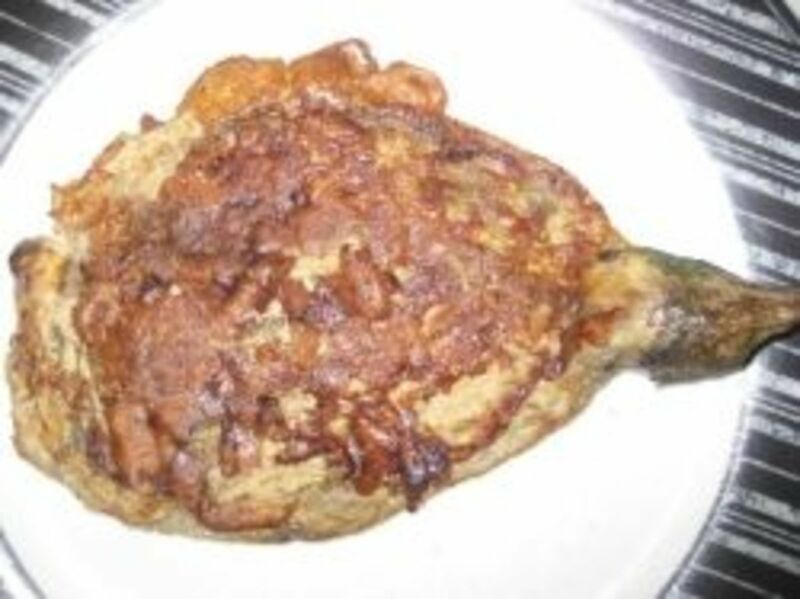 Tortang talong is relatively simple dish to prepare but is famous and tasty among Filipinos. The ingredients are mainly eggplant and the egg itself. The eggplant has to be roasted/grilled first at a certain degree then it is peeled off. There are varieties of the sauce which makes it even more tastier but the usual sauce is soy sauce with some sour fruit ingredient like lemon or calamansi. 1. Grill eggplants using charcoal or stove until the skin are blackened, soft and charred. 2. Set aside for 2-3 minutes to cool down then peel off and discard the skin and put eggplant meat in a plate. Do not remove the eggplant stem and make sure the eggplant meat is intact as possible. 3. Get the fork and flatten the eggplant in a plate to check the inside of it and free from any worms. 4. Beat the eggs well in a bowl and put a pinch of salt and pepper to taste then lay the flattened eggplant in it. 5. In a frying pan over medium fire when oil is already hot, hold the eggplant stem then slide down into the frying pan until color brown. Make sure eggplant on top side are well coated with beaten egg before flipping it then fry until golden brown too. Fry the eggplants one at a time. 6. Remove from heat and put in a serving plate with ketchup, bagoong with spicy vinegar or soy sauce with kalamansi and garlic as dipping sauce. 7. Serve with plain rice. Share and enjoy eating! You can also use oven for broiling but it takes a little longer or boil the eggplant just make sure boiled eggplants are drained well before laying it in beaten eggs but grilling the eggplant is the best way. 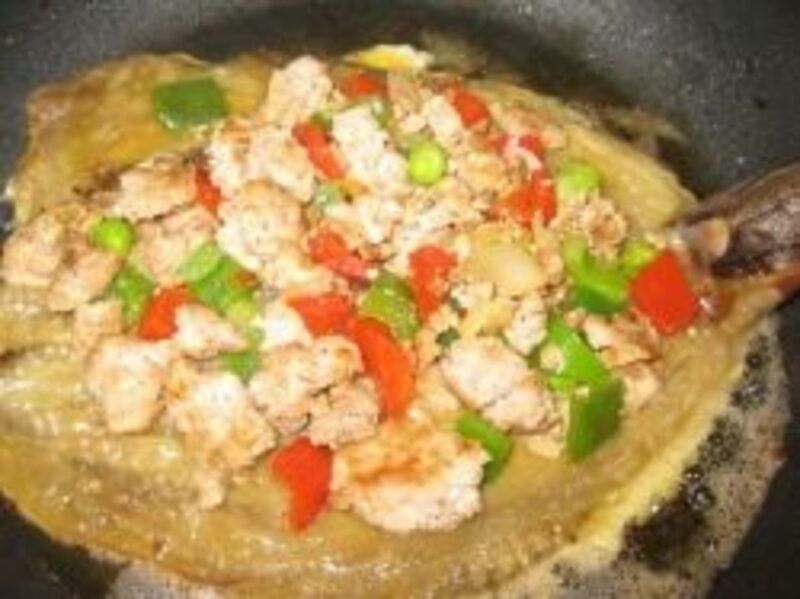 Tortang Talong na may Giniling (Eggplant Omelette with ground meat) is a variation of the Eggplant omelet but this time it has an extra ingredient which is the ground meat. 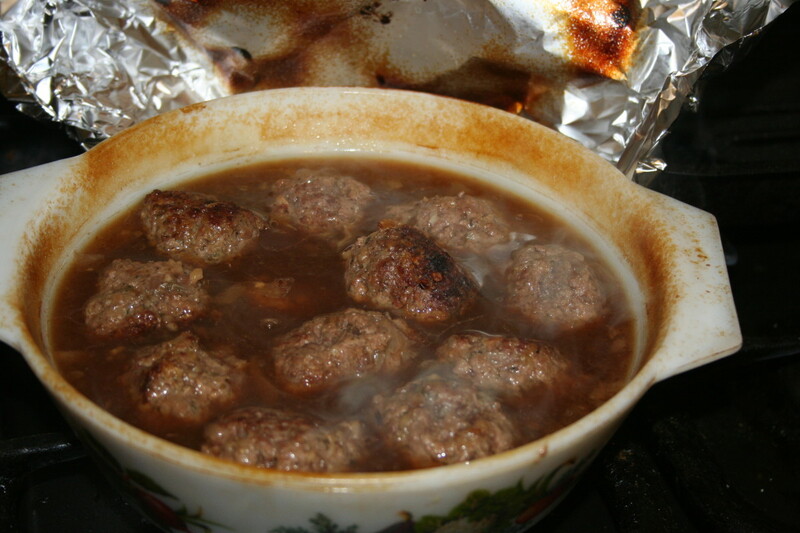 The ground meat can be pork, beef, veal or any other meat of your choice. 1. Grill eggplants in a stove or using charcoal until soft and charred skin. When cool down peel off the skin carefully by not removing the meat and stem of the eggplant then set aside. 2. In a skillet or frying pan, sauté garlic, onions and ground meat until tender and lightly brown then add tomato and bell pepper. Season with salt and pepper and sauté for 3 to 5 minutes then remove from heat. Clean the skillet for next use. 3. While sauteing ground meat, beat eggs in a bowl and put a pinch of salt and pepper then lay the eggplants and set aside. 4. In a cleaned skillet or frying pan, heat the oil over medium fire then hold the stem of eggplant and slide down into the frying pan. Spread carefully the eggplant on the frying pan then pour half of the sauteed ground meat evenly on the eggplant and then slide down one flatten eggplant to cover the meat. Then flip carefully by holding eggplants stem and using spatula when the bottom is golden brown. 5. When both sides are golden brown remove from skillet and do the remaining eggplants and ground meat by following the same procedure done in the first one. 6. Serve hot with plain rice and dipping sauce. Enjoy eating! frying and dip with spicy vinegar or sliced tomatoes and combine with fried rice and fried egg. in a container with cover and put in a refrigerator and let stand overnight in order for the marinating sauce flavours sink into the meat. or chewy if thickly sliced after frying. just wait til the water evaporates and fry til golden brown and crispy. 2. Remove from heat, serve hot with fried rice and fried egg. 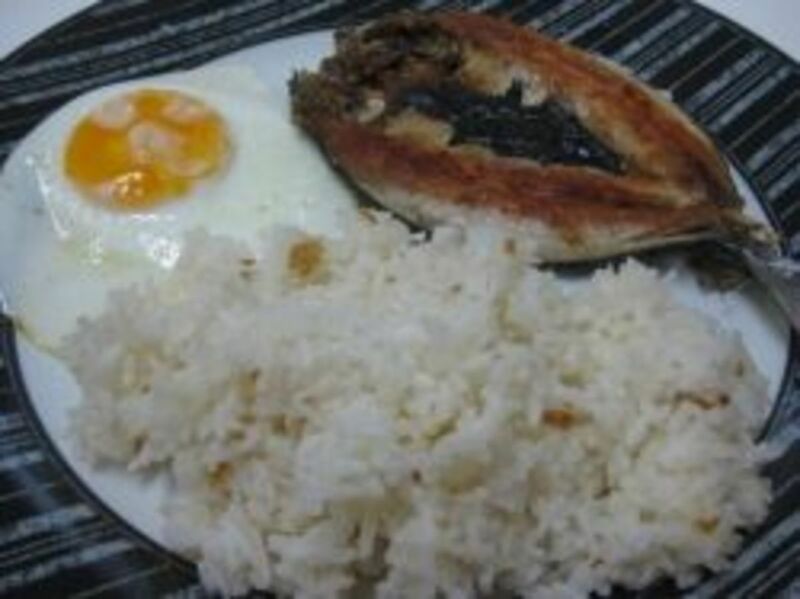 BANGSILOG is a combination of fried sun-dried milkfish (daing na bangus), fried rice (sinangag na kanin) and fried egg (pritong itlog). Daing is sun-drying of fish like milkfish, galunggong, heto or any kind of fish. For those living abroad and busy working, it's okay If you can't sun-dried the marinated fish as long as you marinated it overnight. Using sharp knife, cut the milkfish at the back from head to tail along the spine, open up and spread flat. 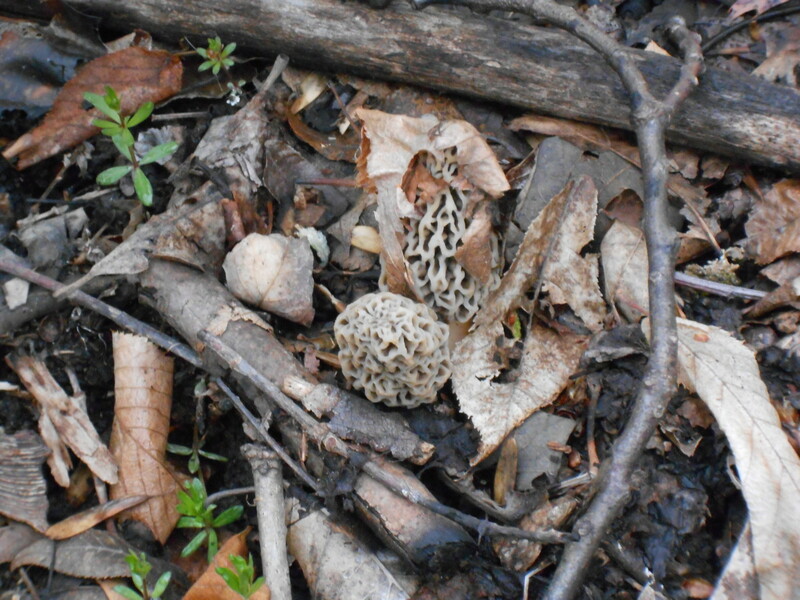 Remove the gills and innards, then washed in running water and drain. In a big container, mix garlic, salt, ground pepper and vinegar then flatten the milkfish on it. Put in the fridge overnight to get full flavor then sun dried for a day or two before frying. In a skillet over medium flame, heat the oil til it starts to smoke then put daing na bangus skinside down first until brown and crispy skin. Then turn over until the bottom side is golden brown. Remove from heat and serve with spicy vinegar or sliced tomatoes. Combine with fried egg and fried or plain rice. LONGSILOG is a combination of longanisa, sinangag and itlog serve together in one plate serve for breakfast. Longanisa is a Philippine pork sausage and taste sweet where the kids love it. Some longanisa taste sour because they use vinegar as one of the seasoning and lots of garlic or spicy longanisa where they put spice which is not recommended for kids. What i do is to cut lenghtwise at the middle when frying so that the inside part is fried too. 1. In a skillet over medium heat, put at least 2 cups of water and let it boil then pour the longanisa slowly. While boiling, cut the longanisa on every knot using scissor which will turn into pieces and let it boil until the water evaporates. 2. When the water is gone it begins to sizzle with its own fat so don't put cooking oil anymore. Just keep on stirring so as not to burn and give your longanisa same color brown after frying or cut lenghtwise at the middle if you want the inside part is fried too then remove from heat. 3. Serve with fried rice and fried egg in one plate. Enjoy eating! Tuysilog is a combination of fried tuyo (salted fish), sinangag (fried rice) and itlog (fried egg) in a one plate. Tuy = tuyo, si = sinangag and log = itlog. This popular Pinoy dish can be eaten breakfast, lunch, dinner, supper, or merienda. It is easy to prepare, cheap, and tasty! 1. First is to fry the egg in a skillet, heat 1 tbsp. oil then crack egg and put a pinch of salt and pepper. Make sure not to break the yolk. Set aside when its done frying. 2. In the same skillet, heat oil and fry garlic until golden brown then pour the leftover rice and fry for at least 5 to 10 minutes then season with a pinch of salt. Remove from heat and set aside. 3. In the same skillet, heat 1 tbsp. oil then fry the salted fish for at least 3 minutes then flip it on the other side. Its done when its scales expanded and color white. Remove from heat so as not to overfry and taste bitter. 4. Finally, put the fried rice in the center of a serving plate, then the fried salted fish (tuyo) and fried egg on the side of sinangag. 5. Serve TUYSILOG with spicy vinegar for salted fish and a cup of coffee. BACONSILOG is a combination of fried bacon, sinangag (fried rice) and itlog (fried egg) put together in one plate. BACON = bacon, SI = SInangag and LOG = itLOG. This popular Pinoy dish can be eaten breakfast, lunch, dinner, supper, or merienda. It is easy to prepare, cheap, and tasty! 1. First is to separate becon strips carefully into pieces then place them side by side in cold skillet. 2. Turn on the stove to meduim heat then put the skillet and don't move the bacon until it releases easily from the skillet. 3. When the bacon starts to brown and can easily move then flip it up using tongs on the other side until brown color. 4. When all parts of bacon are brown color, remove from heat and put in a plate with paper towel to drain the fats. 5. Serve with fried rice and fried egg together in one plate. Enjoy eating! TINAPSILOG is a combination of tinapa (smoked fish), sinangag (fried rice) and pritong itlog (fried egg). A galunggong, bangus or tamban fish is soaked in salt and water solution, drained, cool dried and smoked for 1-2 hours until the fish is burnished golden brown. Its complicated to make so I'd rather buy tinapa available in Asian store. TINAP = tinapa, SI = SInangag and LOG = itLOG. This popular Pinoy dish can be eaten breakfast, lunch, dinner, supper, or merienda. It is easy to prepare, cheap, and tasty! In a skillet over medium flame, heat the cooking oil until start to smoke and then put tinapa and turn until both sides are brown in color. Remove from heat and serve with sliced tomatoes or spicy vinegar to dip tinapa and combine with fried rice and fried egg. produces ham with crispy brown outside, juicy and flavorful. Ham can be from the canned ham or Maling chinese brand of ham meat ready to fry. 1. Slice thinly into desired pieces and trim skin from outer edges of slices of ham but do not trim the fat. oil but if the ham is lean put a little oil in a pan before heating. to become dry and hard. 4. Put fried ham in a serving plate with fried rice and fried egg. GALUNGSILOG is a combination of fried galunggong, fried rice and fried egg serve in one plate. Galunggong (Mackerel Scad) is a common fish in the Philippines. The flavorful meat of fried galunggong is perfect match with native cane spicy vinegar and a pinch of salt in it or sliced tomatoes with bagoong sauce and chopped onion on the side as "sawsawan" dipping sauce. The popularity of the galunggong fish is so great that it is even exported worldwide and well-known over the world. This fish is abounding in the Philippine waters and it is so cheap and commonly known to the Filipino masses as a daily fish ulam (meal) because it is cheap and easy to cook yet so tasty to the appetite and can be cooked in a number of ways. 1. Clean first the mackerel scad (galunggong) by removing the gills and innards then washed many times carefully in running water, drained and sprinkle with salt and pepper. and put in a serving plate. 3. Serve freshly fried the mackerel scad with your preferred "sawsawan" dipping sauce combine with fried rice and fried egg in one plate. HOTSILOG is a combination of hotdog, sinangag na kanin (fried rice) and pritong itlog (fried egg, sunny-side up or scrambled). Hotdogs are kids' favorite to eat especially for breakfast. 1. In a pan put water enough to sink the hotdogs and let the water boil first before placing the hotdogs. After 3 to 5 minutes of boiling, remove from the pan, drained and set aside. 2. In a frying pan, heat olive oil or melt butter then carefully slide boiled hotdogs and keep on stirring until all parts are equally brown in color. fry the inside or flat side til golden brown and crispy. Same thing on the outside part of the hotdog. 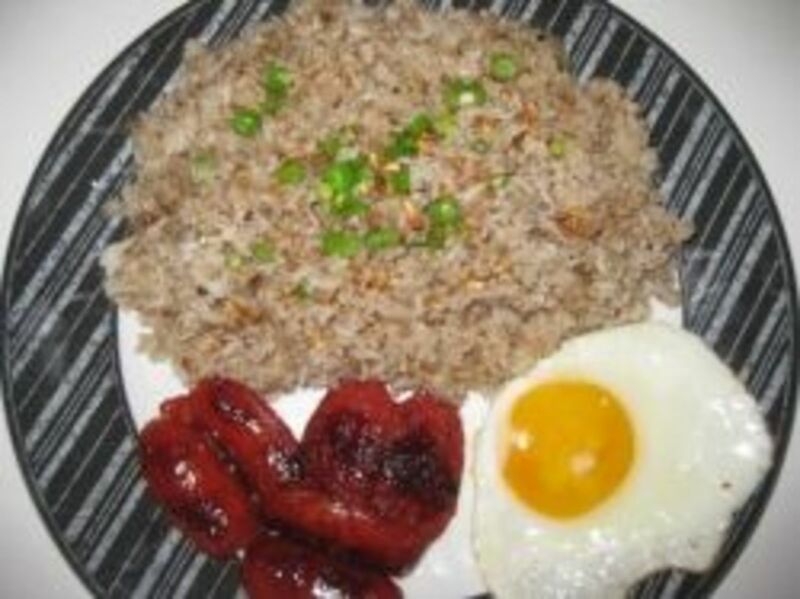 TOSILOG is a combination of Tocino, fried rice and fried egg. Tocino is sweetened cured pork, sliced thinly and taste sweet. Tocino is available in Asian stores and available with spicy flavor, sweetened, or just plain tocino. One of the best brands are those from the Province of Pampanga and from which province was claimed the originator of Philippine's best tocino. 1. In a frying pan, layer the tocino meat and put about a cup or two of water (for 1 pack tocino) and let it simmer for about 15-20 minutes til all water evaporates and meat is tender then put in a low heat to prevent the meat from burning because of the sugar content. 2. If tocino meat is fatty then no need to put oil in a pan as the meat will render its own fat as the water disappears but if the meat is lean then add a tablespoon of cooking oil. 3. Keep turning over the meat so as not burned and stick because of sugar getting caramelized the edges. When meats are brown in color remove from heat and serve in one plate with fried rice and fried egg. stand for how many hours or overnight to really get the full flavor before frying. Porkchop is preferably the loin and other meaty areas of the pork meat in order to be easy when eating and not bothering about bones to take away. It is often requested by people to fry it in a juicy finish but equally favorite is the well-done version. Flour can be added before frying to add to that extra flavor, taste, and crispy finish. In a frying pan over medium flame, heat oil until almost smoke and lay down the porkchop in the pan. Wait til the edges and bottom side of the meat is brown color then flip over on the other side til golden brown too. Remove from heat and put in a serving plate with fried rice and fried egg. 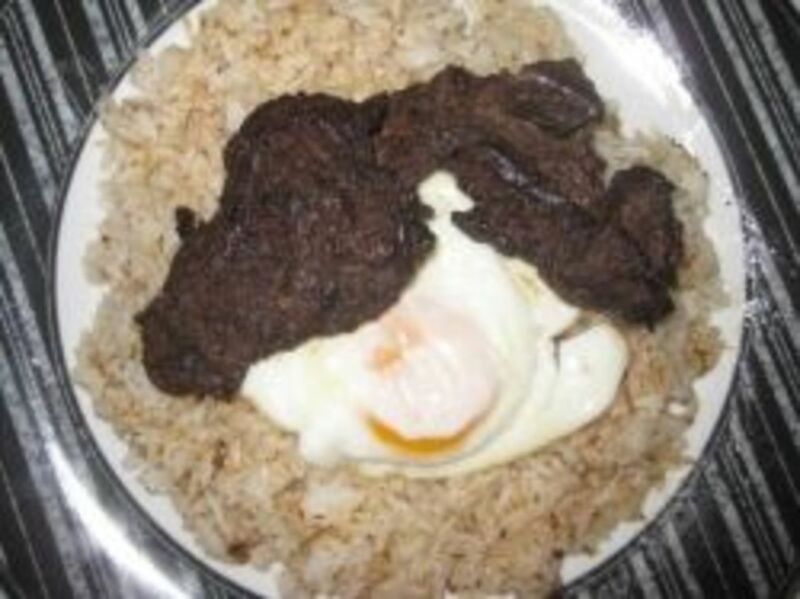 DILISILOG is a combination of fried Dilis, fried rice (sinangag na kanin) and fried egg (pritong itlog). Dilis are small sizes of fish, salted and sun dried. The dilis fried alone and dipped in vinegar is so tasty that it is considered "pulutan" or finger-food in Philippine drinking and eating celebrations. Dilis however can be combined with fried rice, fried egg which makes it more flexible as a meal for breakfast, lunch, or supper. Enjoy this simple, but mouth-watering ang DELICIOUS ("diliscious") pinoy meal dish! To fry Dilis, in a skillet put one teaspoon of cooking oil (optional) heat til almost smoke then put the Dilis and stir fry until golden brown and crispy. Remove from heat and put in one plate with fried rice and fried egg and spicy vinegar for dipping dilis or sliced tomatoes. CHICSILOG is a combination of fried chicken, fried rice and fried egg. Chicken pieces be marinated overnight with seasoning and marinated sauce or your preferred marinated sauce. Of course one meal of dish that is almost ever present is fried chicken which is one of the most consumed meat in the Philippines and in the world. The preferable part of the chicken for this meal combo is the leg drumstick or the meaty area of the chicken leg. Other parts of the chicken such as the middle meaty area or the chicken wings can be used. Other poultry meat can be used as a substitute for chicken such as quail or other tasty edible birds. Fried chicken drumstick can be fried with the additional flour for that crispy finish and brown color. In a frying pan over medium flame, heat oil until almost smoke then put in the marinated chicken pieces. Let it stay in the cooking oil until golden brown. Turn the chicken pieces the other side in the cooking oil until both sides are cooked to the desired finish. Some chefs do the chicken frying in a deep fry which is cooked by allowing sufficient oil to boil, then dropping down the chicken pieces to the boiling oil in which they are completely immersed or submerged until they are cooked to the desired color and finish. When cooked to the desired finish, remove from heat and put in a plate combined with fried rice and fried egg (sunny side up or scrambled). Remove the scales using a scaler or just a knife by moving along back and forth. After all the scales are taken out, using sharp knife, cut the tilapia at the back from head to tail along the spine, open up and spread flat. Remove the gills and all the intestines and all internal parts and organs, then wash thoroughly with running water. In a big container, mix garlic, salt, ground pepper, soy sauce, and vinegar then spread evenly the Tilapia on it. Leave it in the plastic container for at least 24 hours to get full flavor and to let the marinating mixture stick into the flesh of the tilapia. 1. Put the stove flame in medium. In a frying pan, heat the olive oil until it starts to smoke. 2. Put the Tilapia fish with the skin side first and leave it to cook until brown in color. 3. Once golden brown color is achieved, turn over and let it fry until golden brown just like the other side. 4. Remove from the frying pan and serve with spicy vinegar or sliced tomatoes. Bagoong fish sauce is best with calamansi or lemon. CORNSILOG is a combination of corned beef (from can) with potato cubes, sinangag (fried rice) and itlog (fried egg) put together in one plate. CORN = corned beef, SI = SInangag and LOG = itLOG. Any corned beef brand in can will do, but the most common brand used is Hereford corned beef. It is a bit tasty than most brands. Peel 2 to 3 medium sized potatoes. Slice and chop the potatoes to quarter inch cubes or less. Open 1 can of Hereford corned beef. In a frying pan with medium flame in the stove, put olive oil and heat it. Put 3 cloves of garlic and fry until brown in color. Put the potato cubes and cook to the desired finish. Lastly put the corned beef and stir until evenly mixed for at least 2 minutes. Remove from the frying pan and serve with fried rice and fried egg sunny side up or scrambled. SAUSILOG is a combination of sausage (from can or plastic packed) with sinangag (fried rice) and itlog (fried egg) put together in one plate. SAU = sausage, SI = SInangag and LOG = itLOG. Sausages come in plastic packs usually consisting of 10 or 12 pieces of sausages. They also are available in cans. One of the most affordable yet flavorful brand is Vienna sausage (which I liked). This combo meal is cheap, easy to make, yet tasty for a breakfast, lunch, supper or dinner. This combo meal is one of the quickest meals for me to prepare while I was cooking for myself during my university days. It was convenient for an immediate meal for people cooking for themselves and are in a rush. Open the plastic, and take out the sausages (for canned sausages, open the can, take the sausages to a saucer and drain the liquid from the can, you can keep the liquid as a "sabaw" or sauce or you can put it away). With your stove set in medium flame, put a frying pan with olive oil. 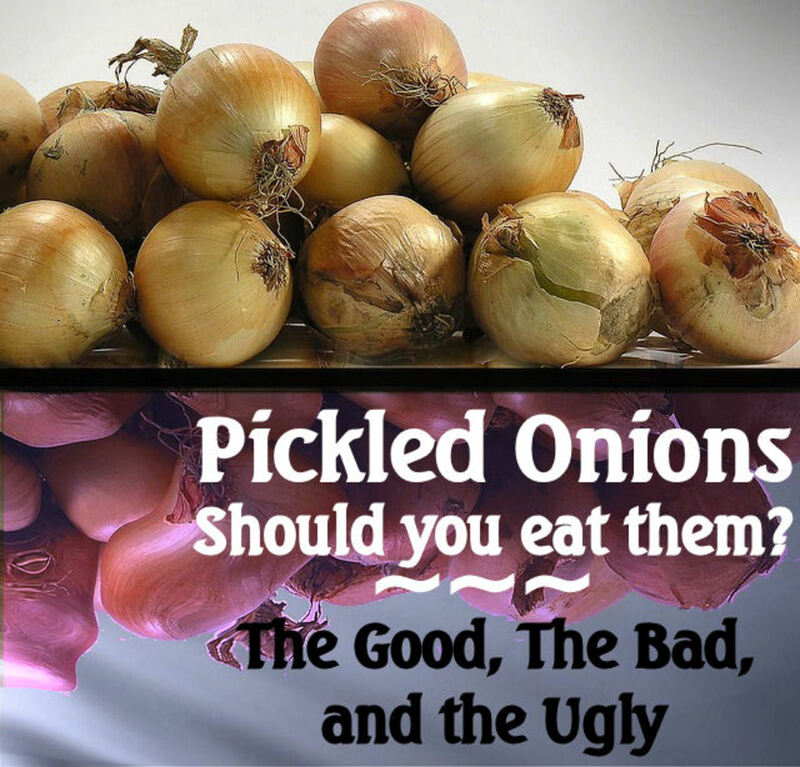 You may want to add 2 to 3 cloves of garlic to your taste. Put the sausages and let it fry to the degree of finish that you prefer. Once this is achieved, you are ready to take it out from the pan and transfer it to a plate. With the sausages in the plate, you can combine it with fried rice and fried egg sunny side up or scrambled or even boiled if you want. OMG! Reading this hub and looking at the photos made my mouth water and I have just eaten my dinner. Thanks for sharing. @aeropisyal: You are most welcome. 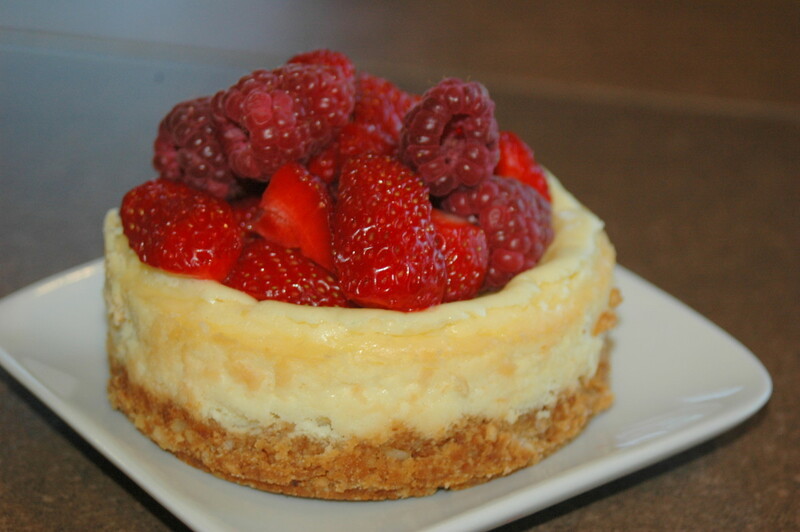 Check out the links for more filipino recipes, dishes and desserts. thanks for this fun article!